John Edwards was found not guilty on one of six charges, and jury hung on the rest. The world knows that John Edwards is loathsome. That’s enough. Photo by Sara D. Davis/Getty Images. 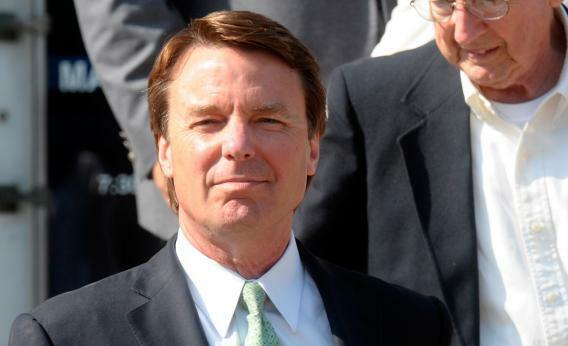 Loathsome but not a criminal—that’s the glorious tagline John Edwards can write for his obituary now that the jury has found him not guilty on one of the six counts of violating campaign finance law that he faced, and hung on the rest. I suppose I should cheer the sputtering end to this trial, since charging Edwards always meant stretching the law. Yet somewhere along the way, I lost my appetite for railing against overzealous prosecutors. Not because Edwards behaved like an utter cad, though he did. But because in this election season in which politics is awash in money as never before, it was a small relief to imagine that someone, somewhere, could still get smacked for crossing the legal line. Edwards was accused of violating campaign finance laws by taking nearly 1 million dollars from two rich pals, Bunny Mellon and Fred Baron, to keep his mistress, Rielle Hunter, from going off the reservation. Much of the money was spent after he dropped out of the race to be the Democratic candidate for president, but some of it came in while he was still in the running—Hunter, for example, moved into a home Mellon’s funds paid for in the fall of 2007 and got a BMW and credit cards. She also flew on Baron’s private jet in December to escape the wrath of Elizabeth Edwards, who by then knew about the affair. John Edwards dropped out of the presidential race in January 2008, and, as we all now know, he and Hunter had a baby a month later. OK, fine, Mellon and Baron were friends, not donors—or friends as well as donors—and that was good enough for the FEC. An agency audit, issued after Edwards was indicted, treated the money Mellon and Baron gave as though it were for Edwards’ personal use, rather than requiring him to report it as a contribution. This meant that at the trial the prosecutors were forced to argue, “Whatever the F.E.C. determined is not relevant to the criminal charges.” Never mind that they were talking about a fellow federal agency’s determination on exactly the point crucial to deciding Edwards’ guilt. Right. Except that lately, I am so frustrated by the mockery that is campaign finance law in the wake of Citizens United and a key lower-court opinion that followed it, I’m having trouble remembering why we want to ensure that everyone can contribute freely to every campaign. Super PACs, Sheldon Adelson, Donald Trump—it’s these images that loom large at the moment, not disenfranchised voters trying to write their checks for $50. Against that backdrop, it is just hard to care about sparing John Edwards from strict enforcement of a confusing law. Maybe the FEC is wrong to exempt gifts from being campaign donations because of a past pattern of giving. Maybe we should have an individual contribution limit and stick to it. On the other hand, when people and corporations and unions are spending hundreds of millions on elections through super PACs and issue-advocacy groups, that sounds quaint. So if I’m not cheering for John Edwards and his defense, I’m also not eager for the unlikely possibility that the prosecution will try again to convict him of the remaining five counts. He has suffered enough for our campaign finance sins. It’s time to move on from 2007 and his $900,000, and worry about the hundreds of millions pouring into this November’s election instead.